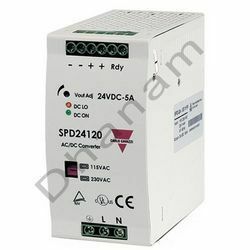 The switching power supplies spd series are specially designed to be used in all automation application where the installation is on a din rail and compact dimensions and performance are a must. Then version features pfc and parallel function as standard. we offer SMPS power supply like SMPS supply or switch mode power supply to meet the requirements of control panels, medical instrumentation and process industries. The range procured by different vendors is durable and reliable and features ac input range that is selectable by switch. 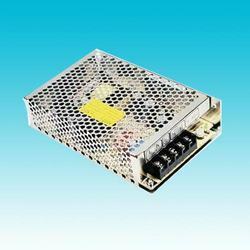 These smps supply, switch mode power supply are applicable in the areas of industrial machinery and appliances, broadcast systems, medical equipment and military devices. The range includes switch mode power supplies (single output) 50w, industrial din rail power supply (single output) 120w, smps power supply (single output with parallel function) 600w and industrial din rail power supply (20w single output). These product New edition Very compact, size Reasonable price.